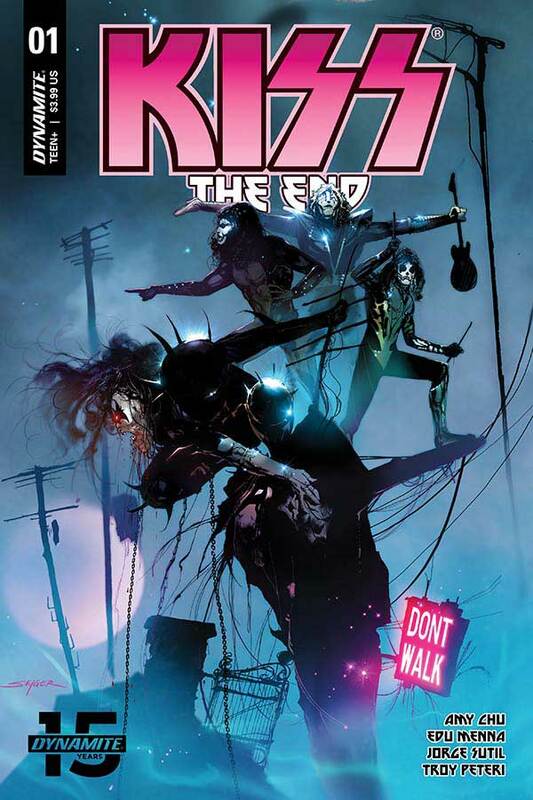 KISS: THE END #1 will be great for fans, but may leave the uninitiated a little cold. Previously in KISS: In the real world, KISS is not only a legendary powerhouse of a band, it is also a marketing machine with a long history and storied partnership with the comic industry. 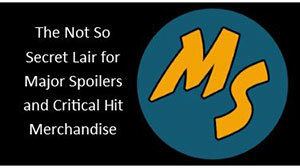 In the comic world, the members take on mystical aspect inspired by their on-stage personas. Now, as the real world band embarks on their last tour, are we seeing the same in the comic world? A dead man and the devil’s daughter are tasked with retrieving an object of power, and their success could spell the end for KISS. Jay is a slacker. He sleeps on a mattress on the floor with a discarded game controller at his side and a guitar leaning on a messy in-table. He is such a loser, he cannot even remember to pick his girlfriend up and take her to band practice. For her, it’s the last straw. She walks out on him and his trashy apartment. It is then he realizes he is late for work. Hopping to his motorcycle, after a wake-up drink of course, he tears across the strip until he arrives at his work, the Rio. His boss Chris is not impressed and fires him before he has a chance to explain how the fates are against him. Mounting his motorcycle once again, he pulls out into the strip only to dodge a muscle car as it whizzes past. In his celebration of having survived, he misses the other car bearing down on him. 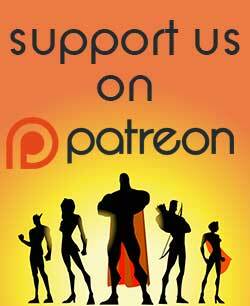 Jay awakens in a barren landscape unharmed and whole with a beautiful young girl at his side. Must be a Tuesday. The young girl tells Jay he is dead, and he has arrived in The Wasteland. A rock-strewn, desolate plane where the dead are alive. The girl takes the lead as she walks Jay to a castle high on the side of a cliff. The girl, Mania, has an idea. She thinks Jay could be of use to her father. Maybe he can help them retrieve the Sword of Immortality from the thieves? Has no one ever told Jay about musicians making deals with the devil? This first issue is written by the wonderful Amy Chu (Red Sonja, Summit). Chu has a history with KISS comics, working not only on the main title but on The Demon series and The Elder adaptation as well. With this issue, she delivers a nice set-up for the main story, which is just as a first issue should be, but there is something lacking. For a comic which contains twenty pages of story, it reads very thin. There is a lot of time spent setting up who Jay was, but not as much making you care about him. A lot of character details are left implied in the background of the panels, but so much that you really only have the thinnest idea of who Jay is and why you should care. There is some legwork to be done and the reader must make some assumptions about his past. However, there is a T.S. Eliot connection to the character. Not sure if it is a nod or not, but it is the most interesting thing about him. Many of the captions are written out using the lyrics to KISS’s ‘Hell or Hallelujah’ and “Back to the Stone Age’. Again, nice nods to the band, but they seem to be used as almost tone poems to help illustrate the story. This stands out, but not really in a good way. They seem intrusive and their inclusion adds to the feeling of this being a prologue as opposed to a full chapter. The artwork by Ed Menna (Z Nation, The Twilight Zone) is ok, but not great. He places lots of little easter eggs in the background, but there are some anatomy and perspective issues which that jump out. It all seems very mediocre and that’s a shame. KISS has such a larger than life, in your face stage show and persona that it would have been wonderful to see a more over the top style take the forefront. This is not bad, but it just does not grab you the way it should. Overall, this was an okay issue to start with. It has got the who, what, when, where and why down and sets up the rest of the story. Problem is that’s all it does, set up the story. You could care less about the main character and his companion is generic at this point as well. Also, I think there is a big real-world chronological error on the last page and am unsure if that is by design or by accident. 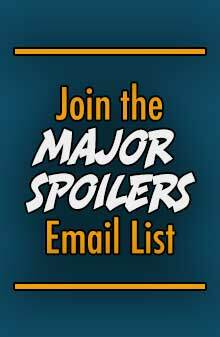 Overall, there is a lot of wasted space that could have been used to move the story forward and make you care about the Jay as a character or maybe to flesh out Mania a little more. It feels more like a prologue than a first chapter. KISS fans most likely will not be concerned, but the average reader in the store may have a few concerns about picking up the issue no matter how beautiful Cover A by Stuart Sayger (Bionicle: Ignition, KISS: Blood and Stardust) may be. 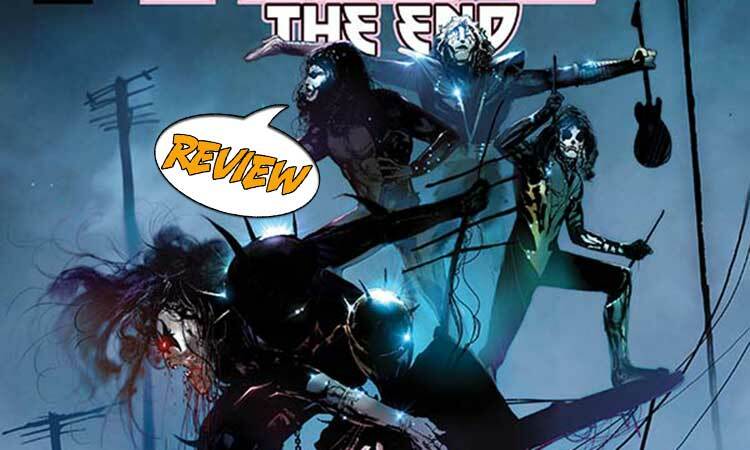 KISS: THE END #1 is not a great first issue, but it is not horrible either. It moves quickly (i.e. it is a fast read) and gets to the point. However, it seemed like it was missing something and may be better when digested in a collected form.